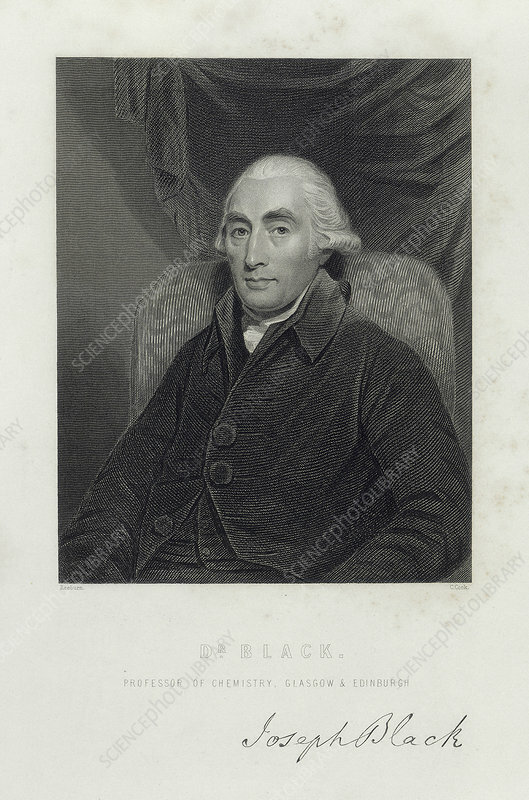 Joseph Black, Scottish chemist, c1780s. Black was appointed Professor of Anatomy and Chemistry at the University of Glasgow in 1756, and, in 1766, Professor of Medicine and Chemistry at the University of Edinburgh. Whilst at Edinburgh, Black discovered the gas carbon dioxide, which he described as 'fixed air'. He is widely considered to be the 'father' of quantitative chemistry. Artist: C Cooke.